The lack of wind has thrown a spanner in the works by keeping the fleet docked on the the first day of the Dubois Cup 2011 in Porto Cervo hosted by the Yacht Club Costa Smeralda (YCCS). Unusual for this breezy and sunny yachting paradise, the low pressure front moving over Sardinia delivered a mix of grey skies and rain. 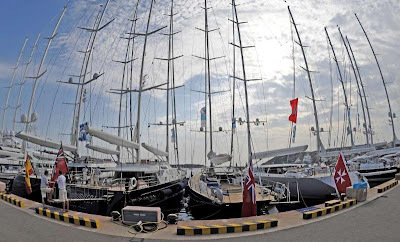 By 3:00pm racing was abandoned and competing owners and crews were forced to console themselves with post race refreshments in the Yacht Club's Piazza Azzurra ahead of the Owners' Dinner on the Club's pool terrace. 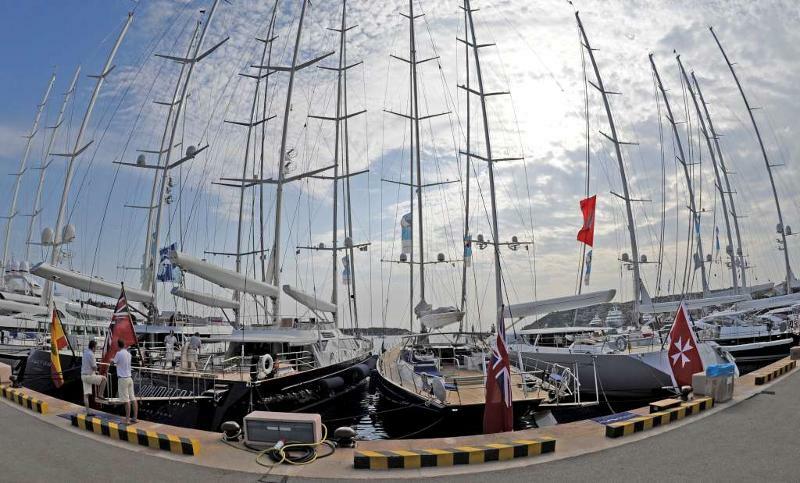 This year's 12-strong fleet, with a combined total length of almost 450 metres is a truly stunning sight for those visiting the marina. "This kind of weather is unusual for Porto Cervo and there is a very low pressure front moving over Sardinia at the minute. 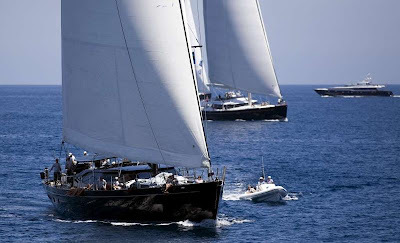 It is passing however, and hopefully we will have something better tomorrow," said YCCS Sports Director Edoardo Recchi. Racing is scheduled to resume tomorrow, Monday 6th June at 12 midday with light, easterly breezes forecast.